A man was shot Tuesday in a possible dispute among occupants of several vehicles in Lower Manhattan. 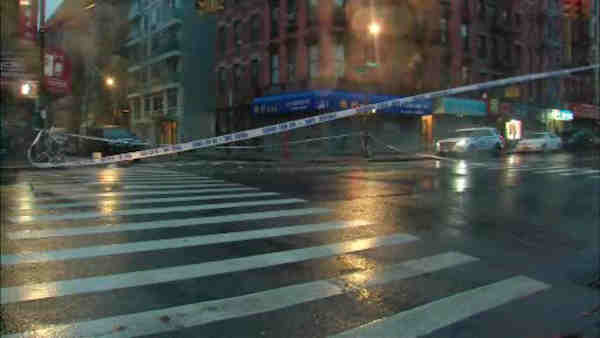 LOWER EAST SIDE, Manhattan (WABC) -- A man was shot in the shoulder Tuesday during a dispute on the Lower East Side, possibly involving people in several vehicles. The 31-year-old was struck in the left shoulder at the intersection of Hester and Essex streets just after 5 a.m. He appeared to be standing next to his car when he was struck, possibly by a shot coming from another vehicle. A white BMW believed to be connected to the shooting was parked in front of the hospital. No arrests were immediately made. Detectives are looking for people in up to two other vehicles who may have been involved in the initial dispute. The man was not immediately cooperating with the investigation.